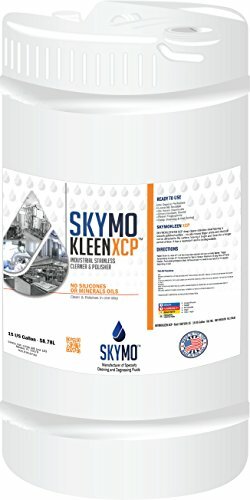 SKYMOKLEEN XCP deep cleans stainless steel leaving a smooth polished surface -no oils means finger prints and dust will not be attracted to the surface, leaving it bright and clean for a longer period of time. It has a neutral pH and is biodegradable. If you have any questions about this product by SKYMOKLEEN, contact us by completing and submitting the form below. If you are looking for a specif part number, please include it with your message.